A series of quick-paced exercises designed to spur design thinking through a daily creative act situated within an articulated formal and conceptual framework. I collected 16 architecture which have a unique dynamic forms in the worlds and constrain myself to create gif based on simple lines. With the development of New Modernism Architecture, architecture show more and more dynamic form. Traditional and still architecture start to transform into the dynamic. 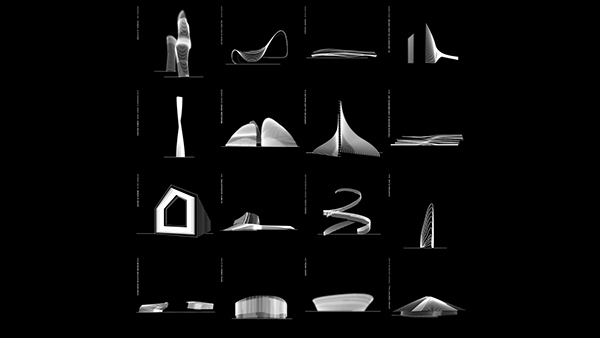 I try to Amplify the dynamic trends of architecture in a simple and direct way.